Reynolda Hall is one of the original buildings on the campus of Wake Forest University. 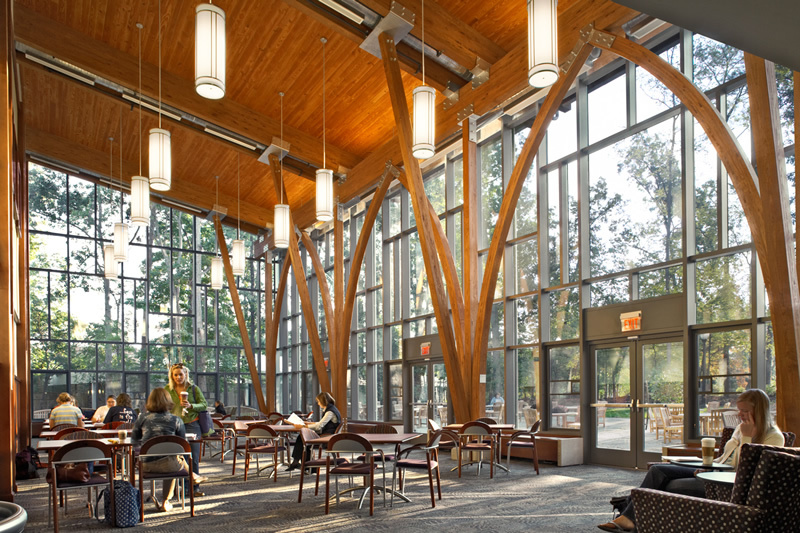 Hayden Design was hired to work with the architects and WFU Facilities to renovate over 20,000 sq. ft. of space on four floors, including the Office of Career & Personal Development. The contemporary design of this 7,000 sq. 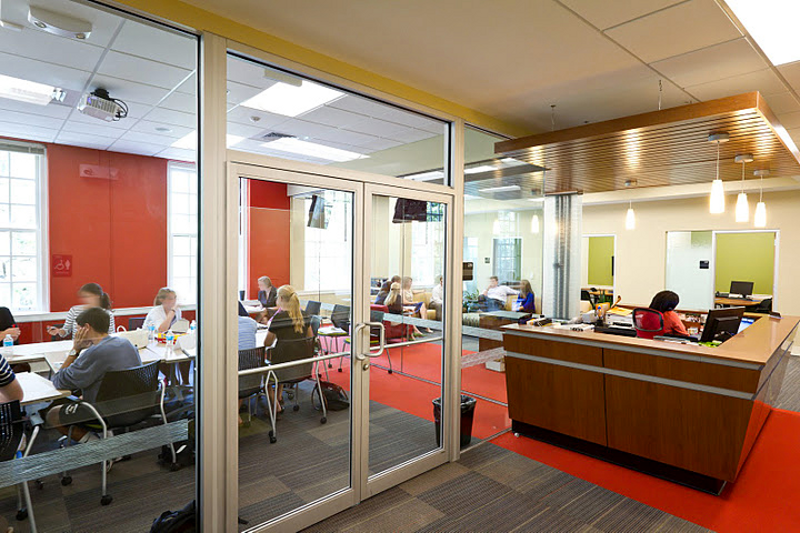 ft. space provides an open, interactive and energetic environment for staff and students. 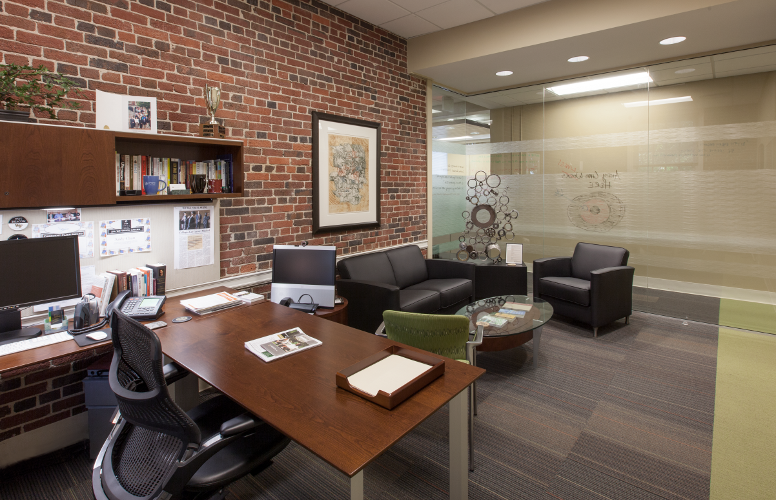 The space needed to connect with the WFU campus but also feel very different as the students are working with staff to prepare for careers and internship opportunities beyond campus. 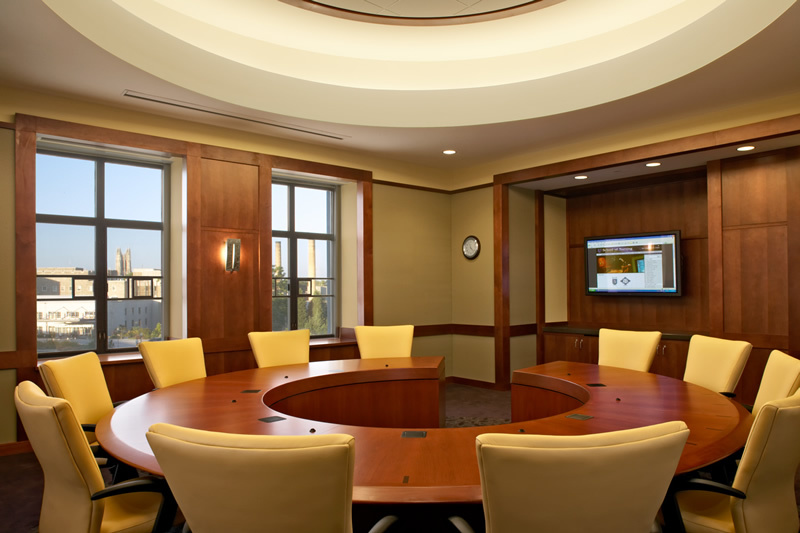 Hayden’s work included interior finishes, furniture plans and specifications, and extensive move management to coordinate new and existing furniture for relocating 14 departments. 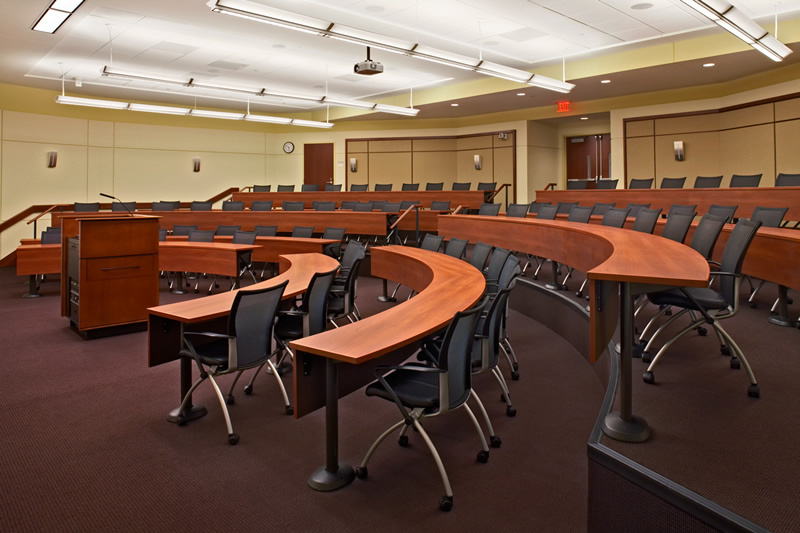 Hayden Design's work at WFU has continued with West & Stem and WFU Facilities to renovate numerous spaces on campus. 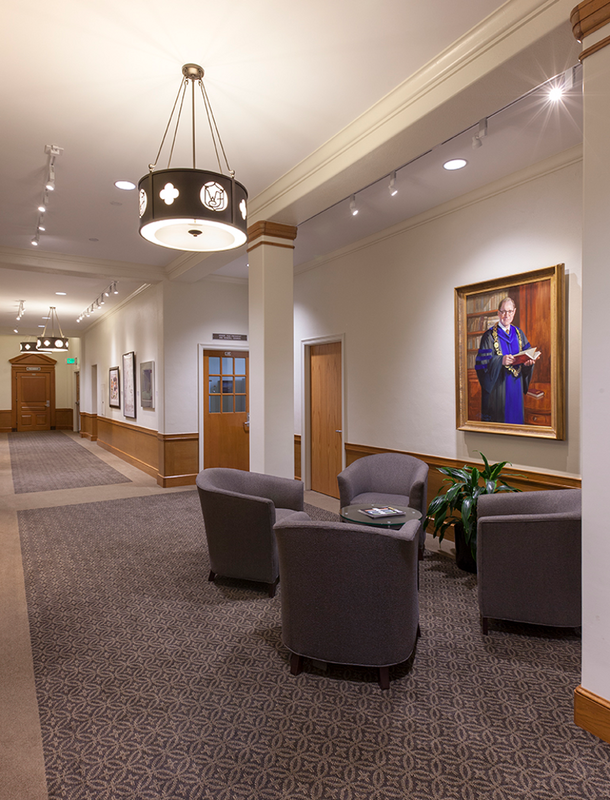 The Office of the Registrar and the President's Corridor are located in Reynolda Hall. 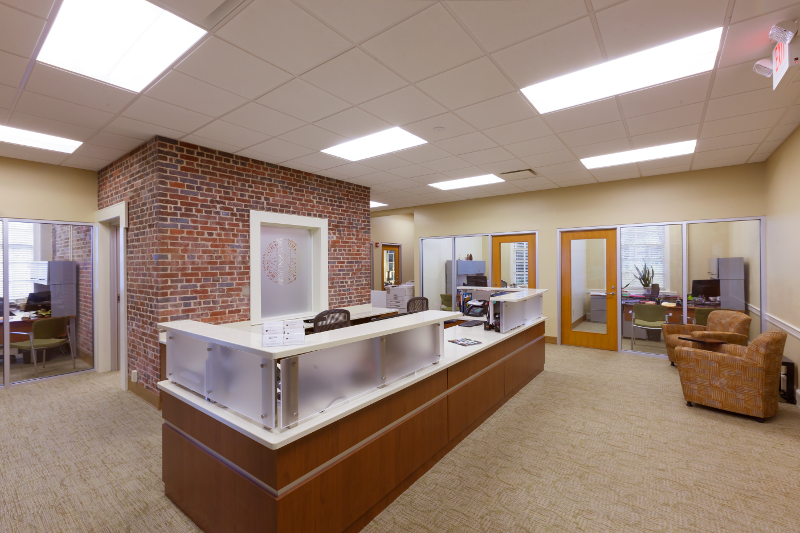 The Registrar's space was a full renovation, which involved converting the former sheet rock covered vault into a focal point as a central conference space with exposed brick walls.The office space, which is frequently visited by students, was opened with glass walls and a streamlined floor plan. 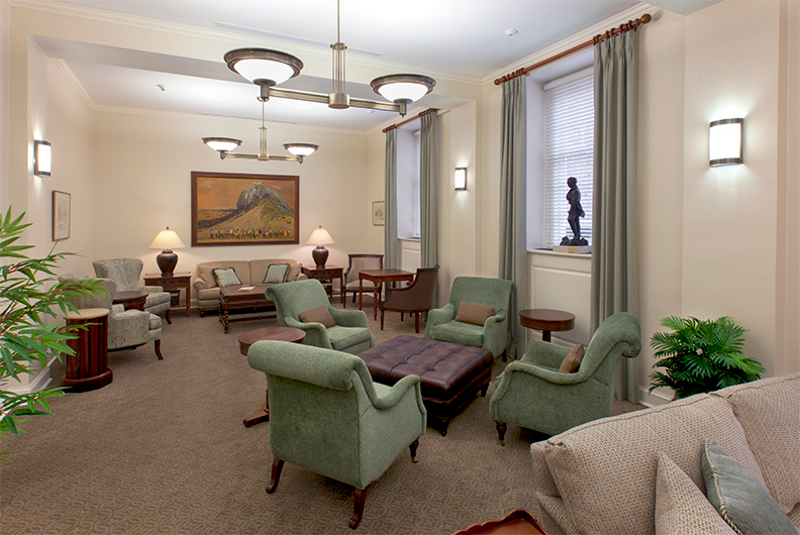 We selected finishes and furniture for this space as well as the President's Corridor. This 2nd floor corridor had old linoleum floor tiles, dreary wood paneling and poor lighting. 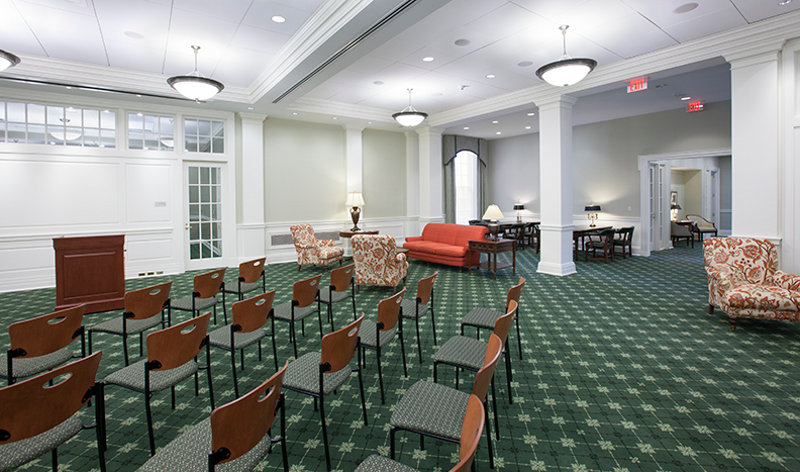 The renovation included new carpet, brighter wall tones, and refurbished oak paneling. 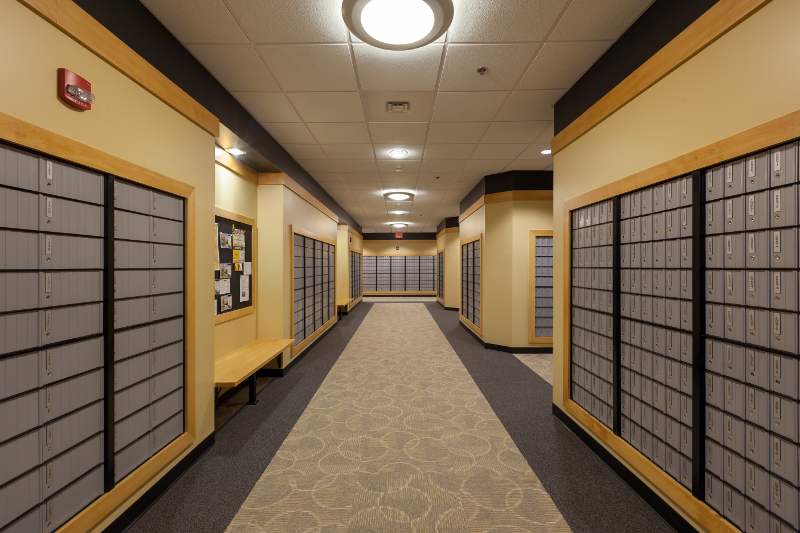 Custom pendant light fixtures and track lights were selected for the new art gallery within the space.The University Mail Center was relocated from Poteat Hall. 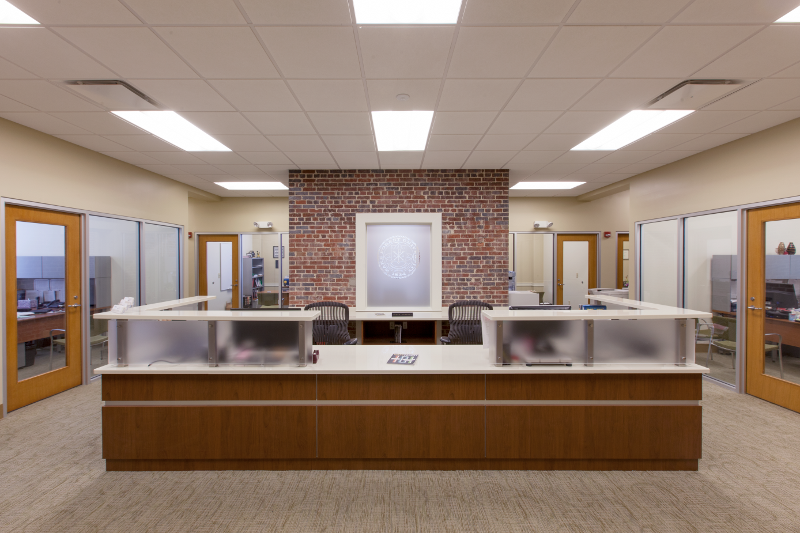 The space was designed to handle a high volume of student packages versus letters. 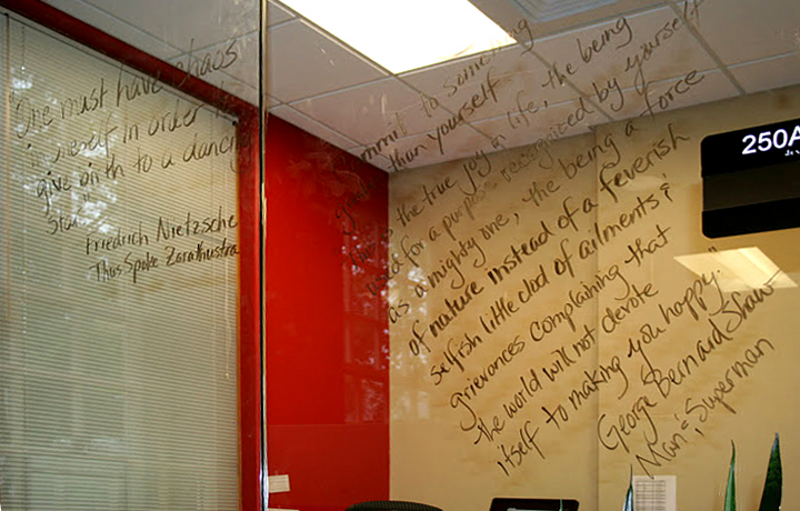 The space has no natural light, so it was designed to be bright and visually appealing for all users. In addition, we worked with the Office of Sustainability to design user-friendly and attractive recycling bins and waste receptacles. The Morehead-Cain Foundation is headquartered in the historic Morehead Planetarium Building in the heart of Chapel Hill, NC. 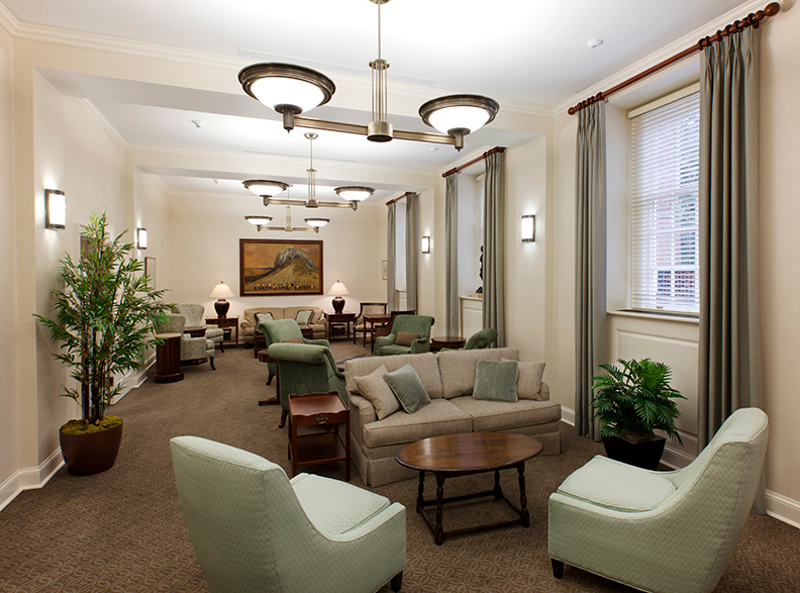 This 20,000 SF facility is home to staff and students in the Morehead-Cain Scholarship Program at UNC-CH. Hayden Design provided comprehensive planning and design services for the renovation of the ground level and first floor which included a large Scholars Lounge, Conference Rooms, a Computer Room, Kitchenette, Executive Offices, the Main Lobby, Staff Offices, Team rooms, Boardroom, and a Large Multipurpose Meeting Hall. 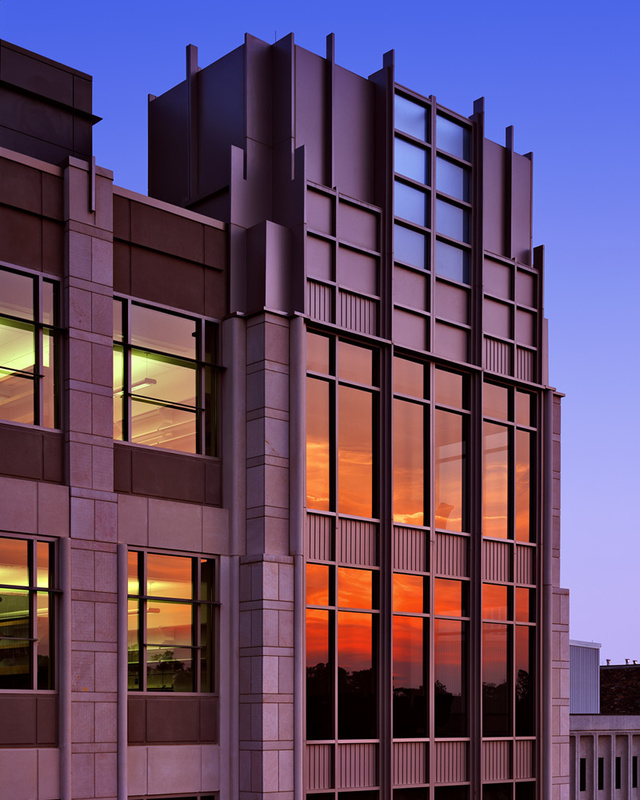 Duke University selected Hayden Design to provide interior design and furniture related services on this 52,000 square foot, three story new building on the Duke campus. 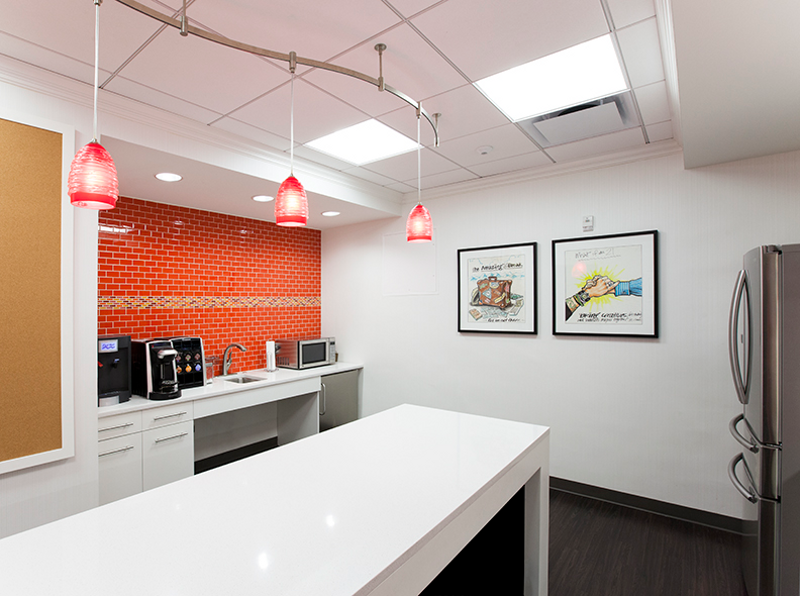 As a follow up project, HD executed a plan for adaptive reuse of existing inventory for the building this group vacated. 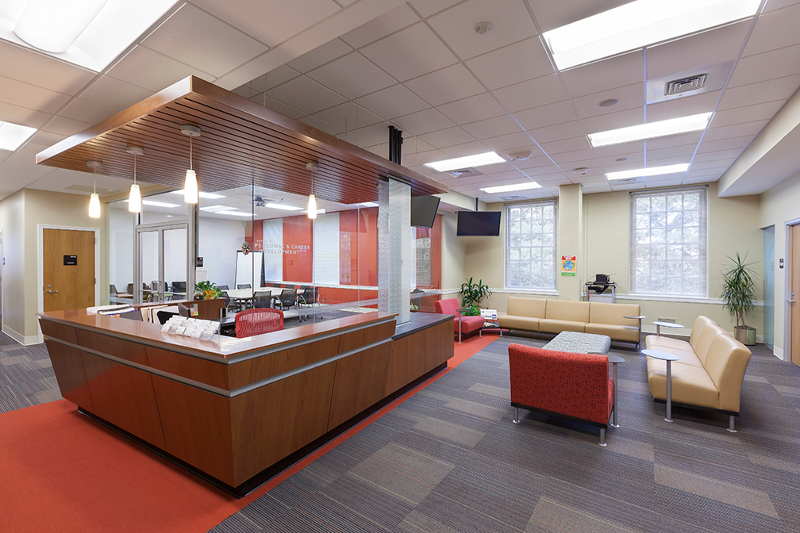 The new building houses the Dean of Nursing, faculty offices, student labs, auditoriums, conference areas, as well as a dramatic student lounge and outdoor dining area. HD provided product research, furniture selections, layouts and specifications, bid administration, installation supervision and general project management. 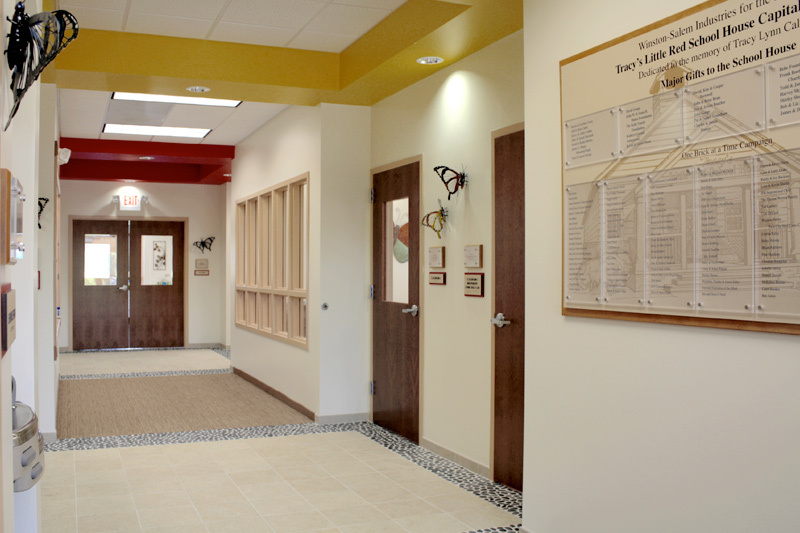 The Little Red Schoolhouse is a 3,400 sf facility designed to serve children and adults who are blind or visually impaired. The facility, which is part of Winston-Salem’s Industries for the Blind offers after-school and summer camps to children to teach them daily living skills and provide art and recreation programs. The schoolhouse is also used for adult programs which focus on household tasks, food preparation, computer skills and art classes. 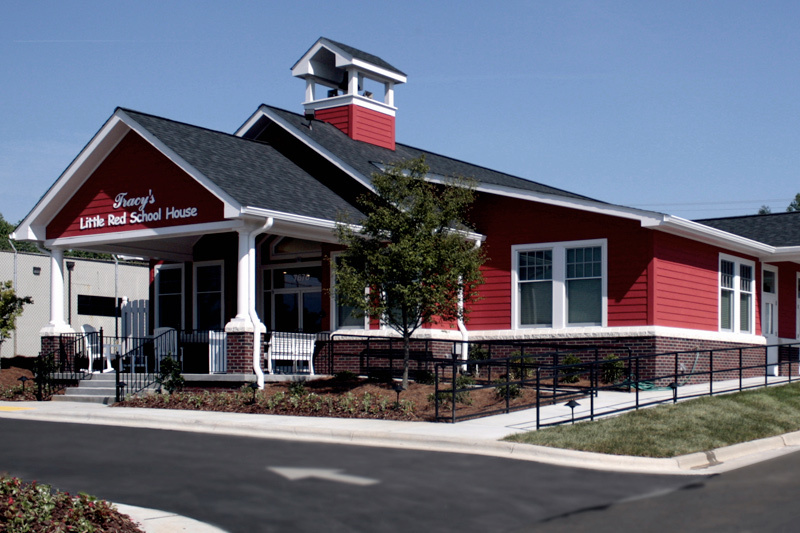 The building’s bright colors welcoms its “students” to the front porch complete with rocking chairs, a school bell, and is complete with a playground in the back. 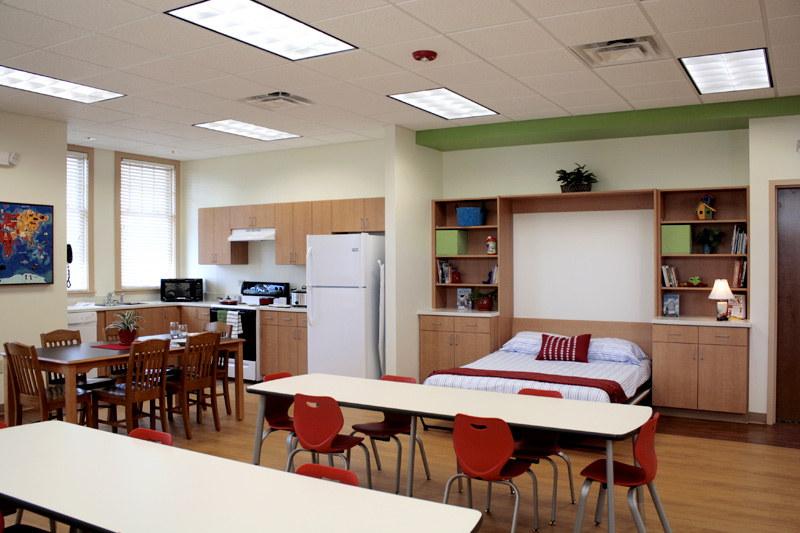 The Living / Learning Center has a “murphy” bed, kitchen, dining and laundry area. 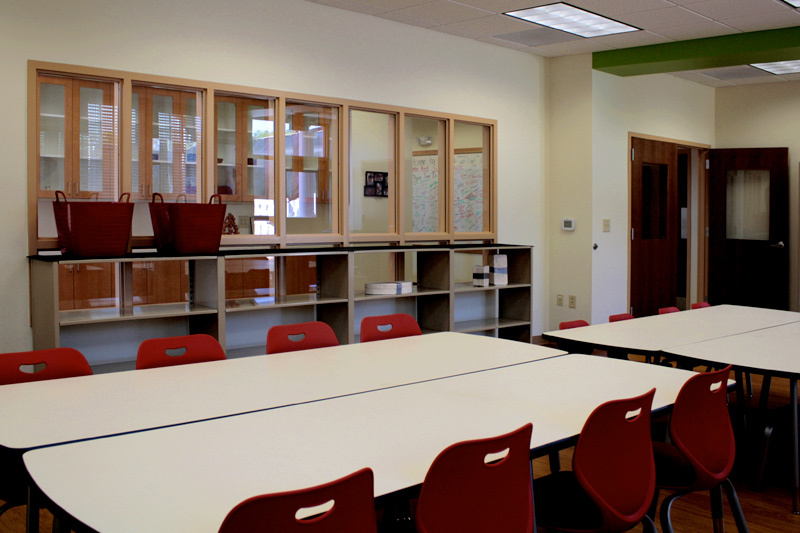 Additional spaces include an Audio Library and an Art Room. 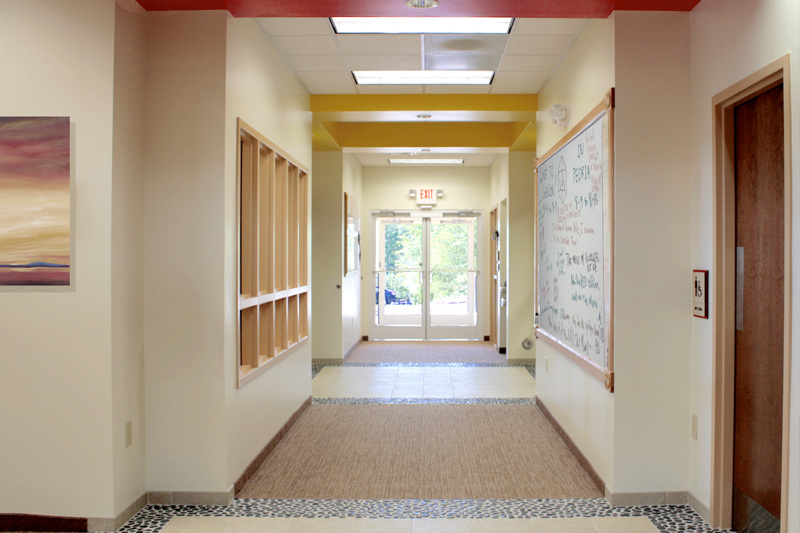 Hayden Design’s work focused on effectively utilizing textures, patterns and contrasting colors and shades in finishes and furniture to aid this special population through their use of the schoolhouse.